You are looking south on 6th Street from Nicollet Mall. 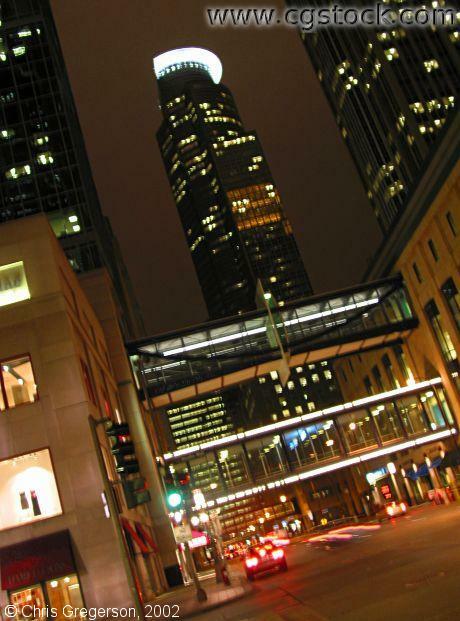 The two skyways connect the two blocks of Gaviidae Shopping Center. The skyscraper with the lit crown is US Bank Center.